The EUR/USD currency pair has reached the area defined earlier. At the moment we should expect the correction to the channel’s upper border in the area of 1.4320, where one can consider selling the pair with the tight stop. 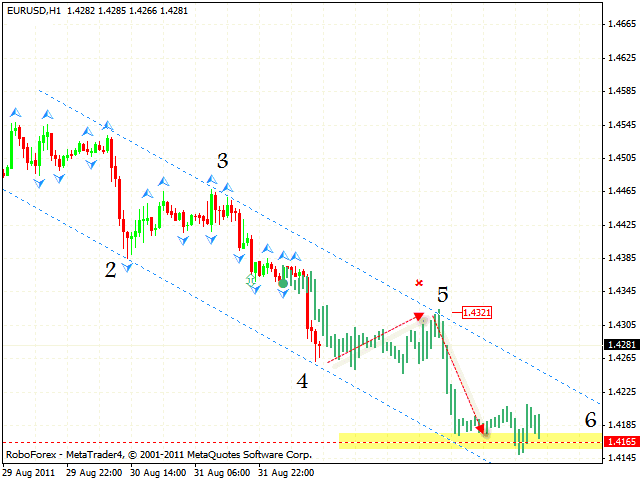 The target of the fall is the area of 1.4165. But if the price leaves the descending channel, this case scenario will be cancelled. At the H4 chart of the GBP/CHF currency pair we have “head & shoulders” reversal pattern forming with the target in the area of 1.2224. Currently we should expect the pair to grow to the level of 1.3290, where one can consider selling it with the tight stop. But if the price reaches a new local maximum at the level of 1.3540, this case scenario will be cancelled. 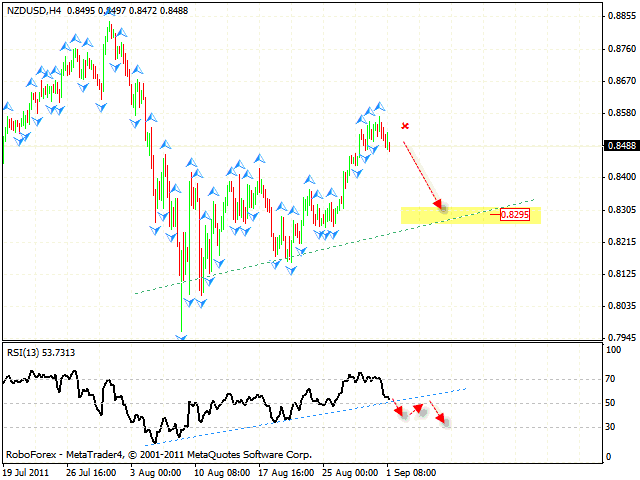 New Zealand is about to test the trend’s rising line at the RSI, and if the pair breaks the line, we should expect the price to fall down into the area of 0.8295. One can try to sell the pair with the tight stop. But if the price breaks the level of 0.8580, this case scenario will be cancelled. 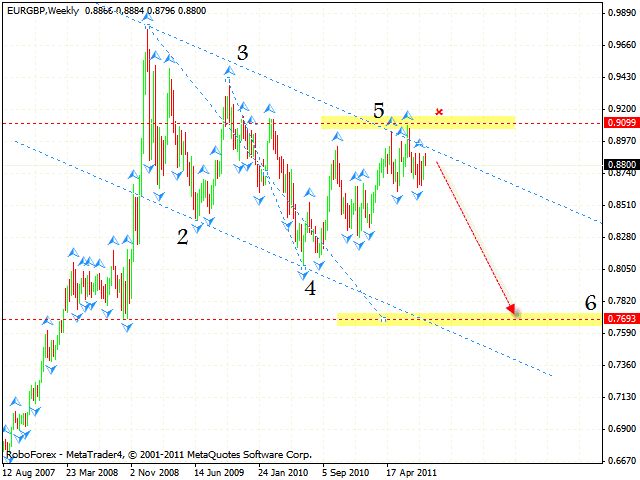 At the weekly chart of the EUR/GBP currency pair the price has tested the descending channel’s upper border. In general, we have a descending pattern with the area of 0.7693. The market has defined the area for the 5th point of reference, we should expect the price to fall. One can try to sell the pair with the tight stop. If we take a closer look at the chart, the signs of a reverse can be seen here. 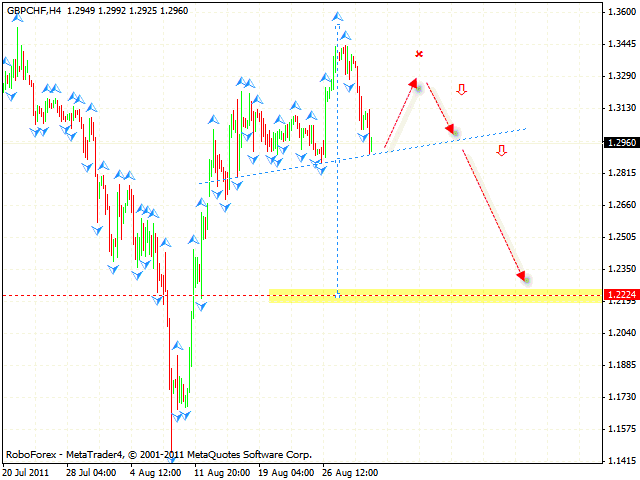 We have “head & shoulders” reversal pattern forming with the final target in the area of 0.8171. 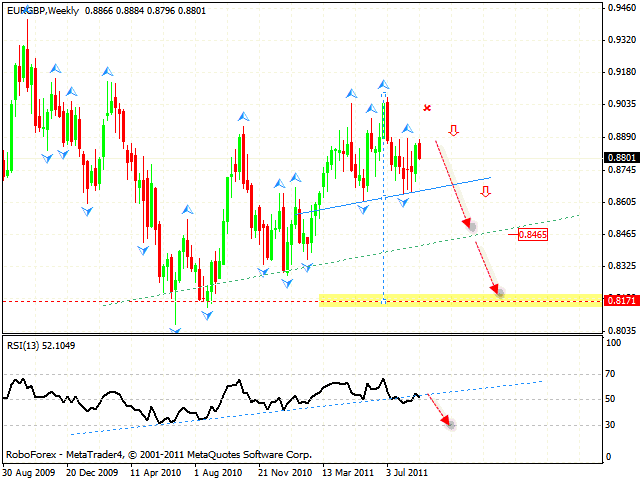 The RSI indicator has broken the trend’s rising line, we should expect the test of the similar line at the price chart.